With the highly known Apple Watch coming to the scene, I’m sure many designers are looking forward to start creating their app designs and UI/UX designs for this wearable device. In fact, a lot of them have already worked on various UI kits, Mock-ups and other resources that are applicable to this intriguing wearable. For those designers who also want to start working on their own designs, we have decided to put together a list of various resources that can help you jumpstart your goal. 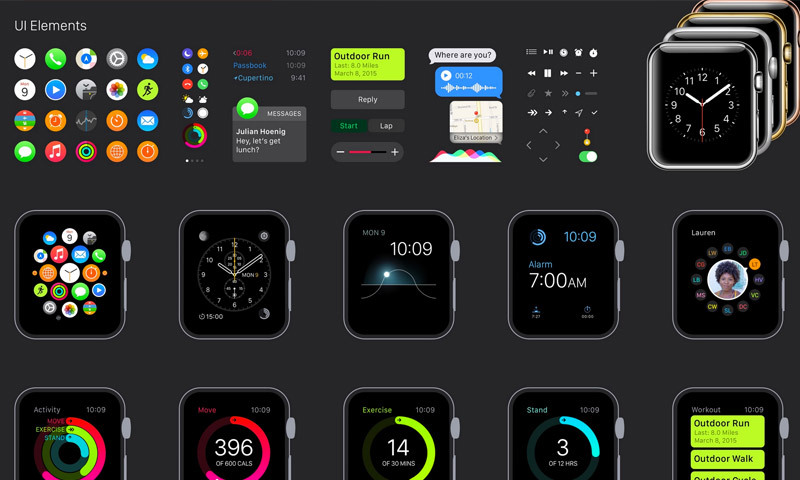 This collection consists of various contents such as mock-ups, UI kits, elements, and such, all for Apple Watch, and all are absolutely free. Scroll down and check them below. Come, take a peek, and enjoy! To start the list, we have a set of free 61MB UI kits that is fully editable. 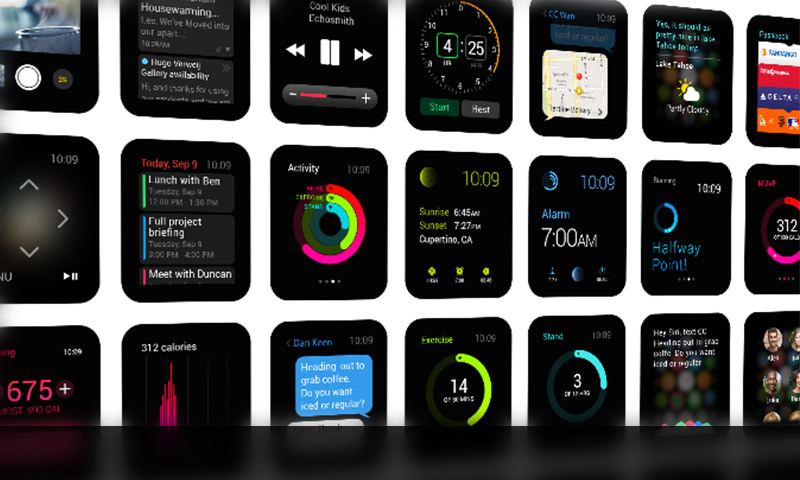 The download contains 31 kits for iWatch that are designed for various tasks such as clocks, social media, notifications, and more. They come in in two sizes: 330x392px and 380x450px. Also, they are in vector layers so you can resize them while maintaining the quality and they are in AI, PSD, and SKETCH formats. 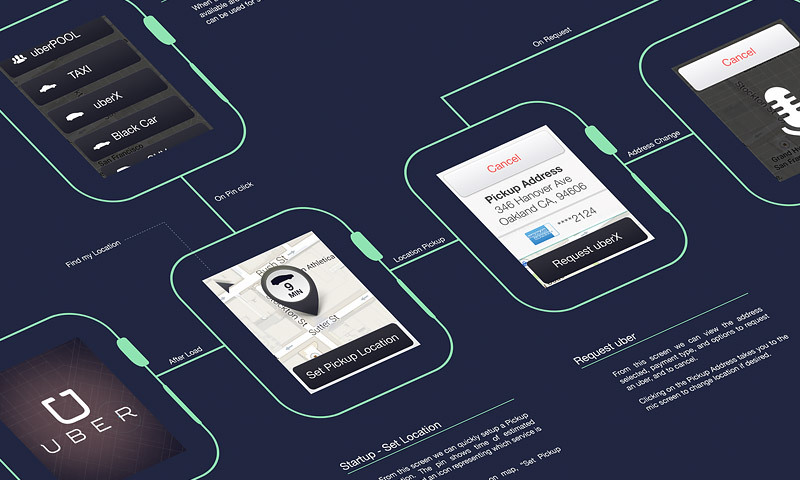 This next pack contains a set of iWatch frame templates, a bunch of elements, and flowcharts that you can use for your watch design. The file is in AI format where you can edit to your own preferences. For this freebie, you’re in for a big treat. 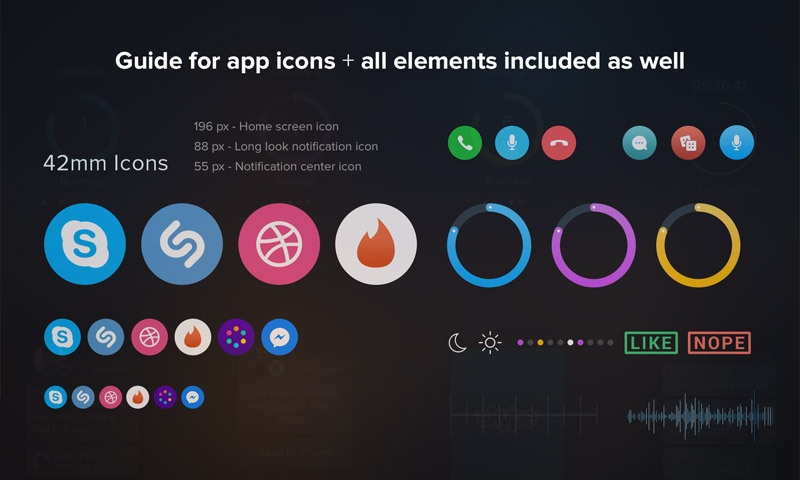 It includes 32 screen templates that are designed for different tasks: calling, music, maps, clocks and timers, notifications, and more; and 50+ GUI elements that comprises buttons, messages, arrows, clocks, and more. You can use them to make your design process easier and faster. 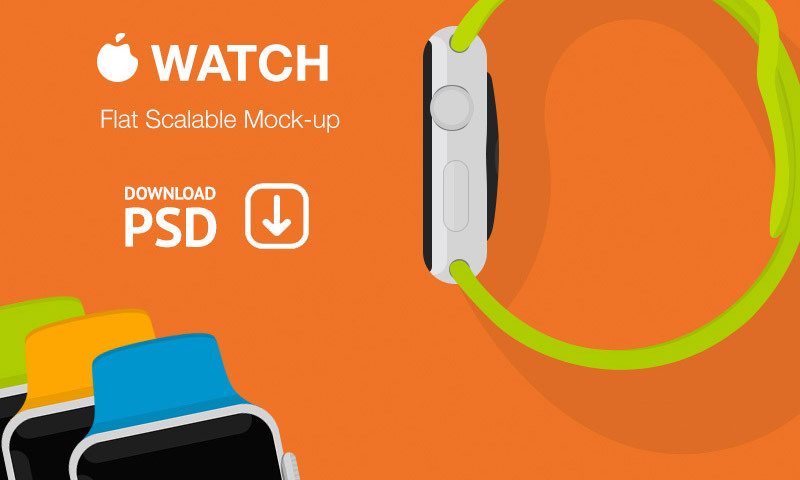 Uber Watch is free PSD freebie that contains iWatch screen templates that are made in 100% vector shapes. 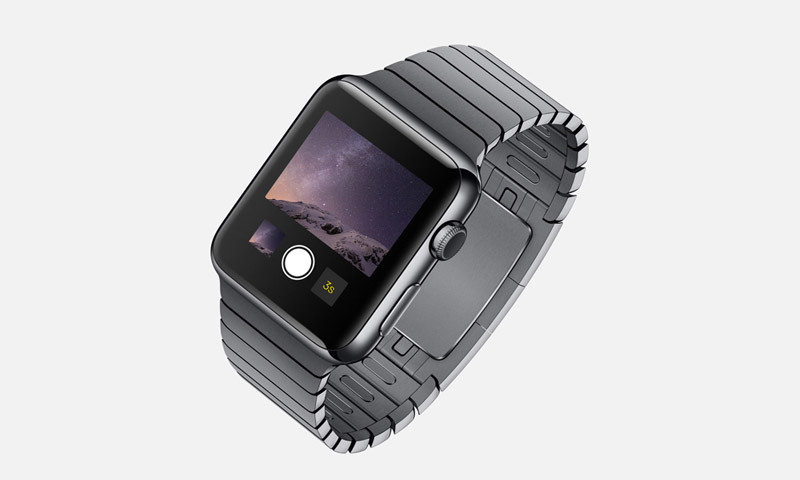 You can resize it without losing the quality and use it with all of your iWatch-related designs. 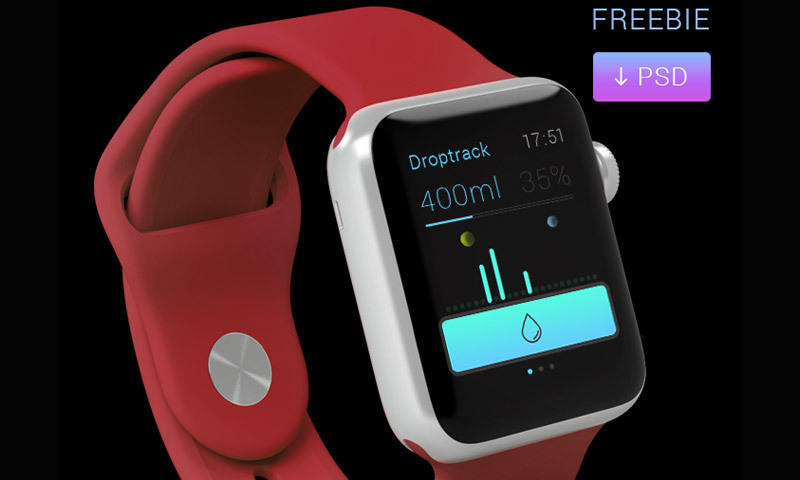 This next freebie is a realistic iWatch mockup with an editable screen. In its 800×600 resolution PSD file, there are layers of straps with different colors for you to choose from – Pink, blue, green, gray, and white. 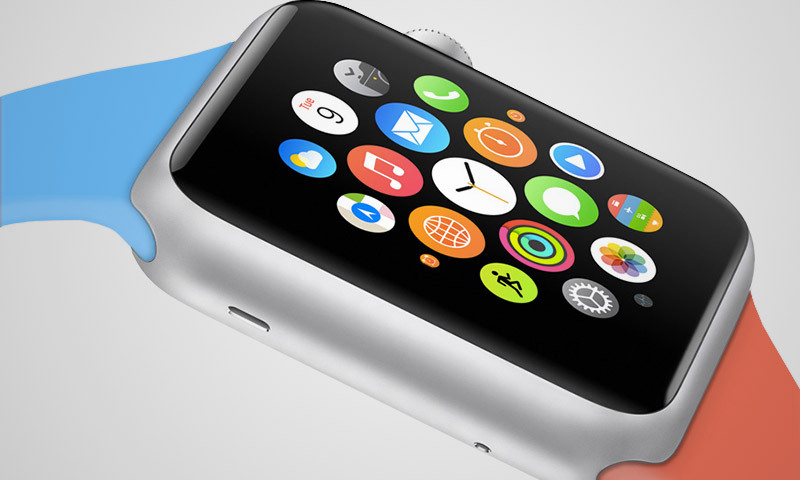 Here is another realistic iWatch mockup in front view. It is available in SKETCH format. 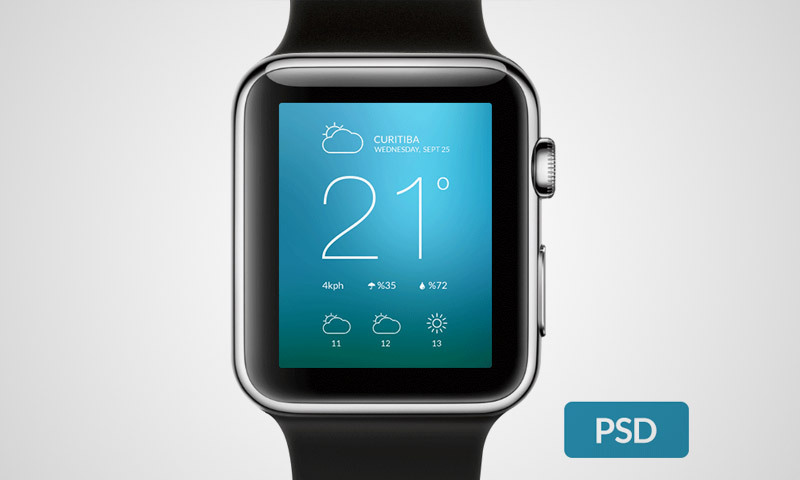 This awesome PSD freebie consists of 14 Apple Watches templates with unique designs. You can edit the screens and use them to your own designs. 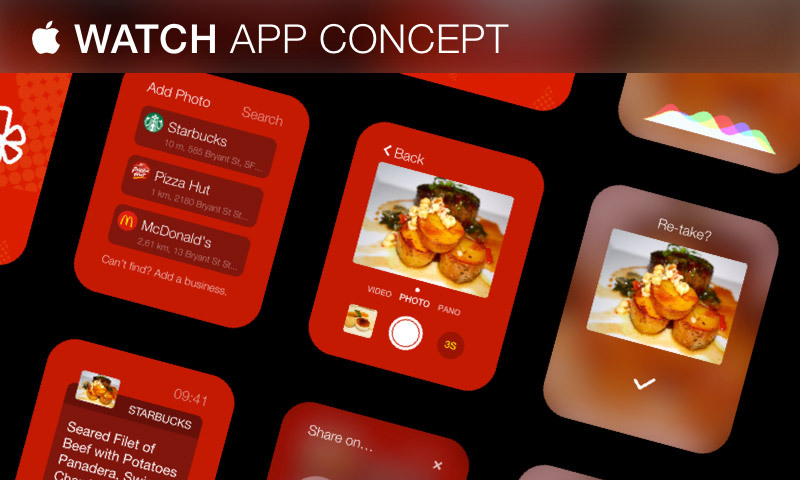 In this next item, you can also add your screen design for iWatch app project. This is in PSD format where you can edit to your own liking. 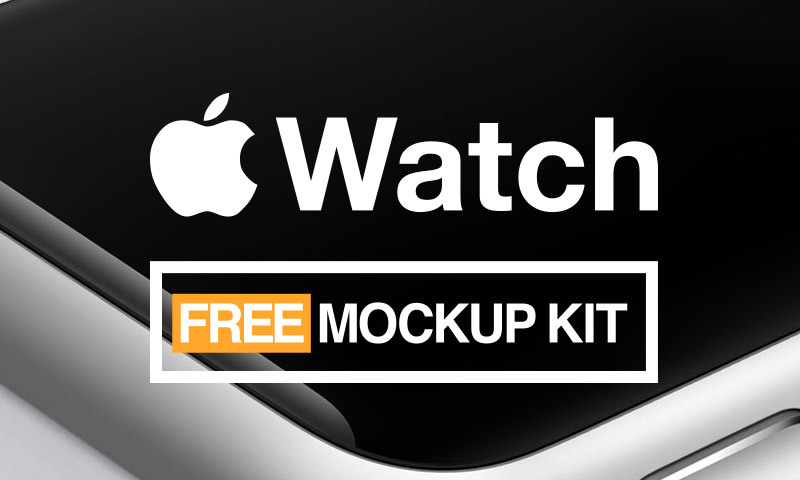 Add some more resources to your design arsenals with this big bunch of freebies that includes 41 Apple Watches screen templates, 20 elements, and 6 icons – each for 38mm and 42mm iWatch. You can download all of these in PSD and SKETCH formats; and to top it all off, you can use these for your personal and commercial designs projects for Apple Watches. 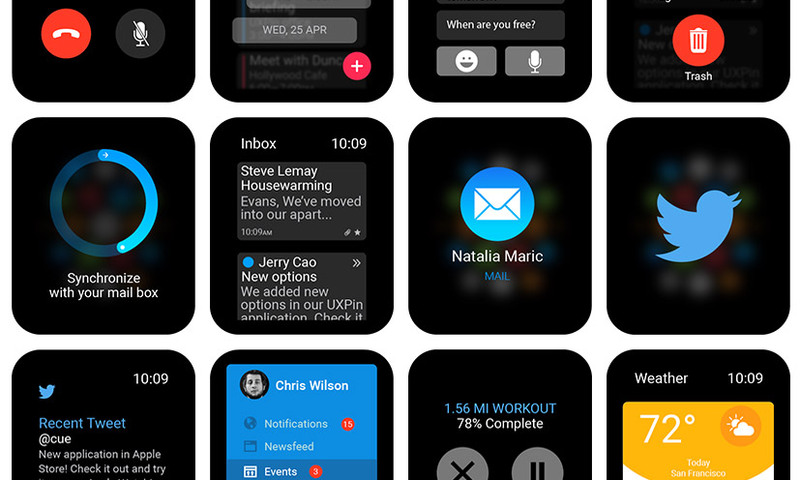 This next template is a flat design Apple Watches mockups where you can edit the screen with your own app design for Apple Watch. The PSD file also includes strap colors that you can choose from. It varies from blue, black, white, pink, and green. 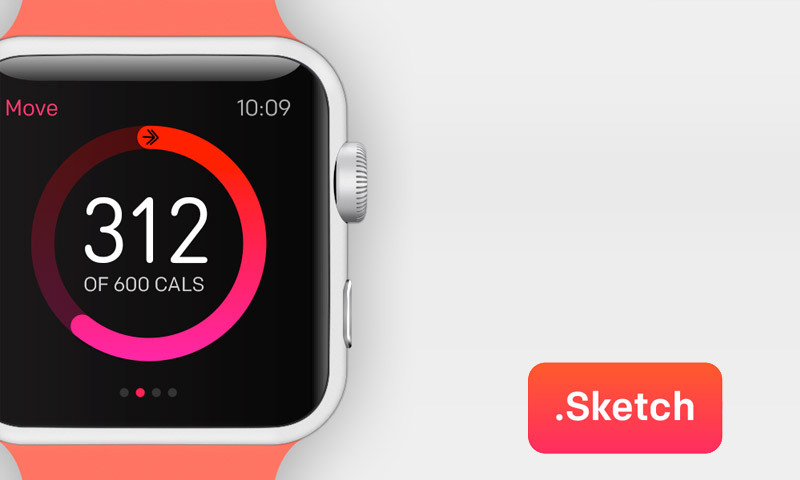 Here is a GUI template for Apple Watches that is made for Sketch users. 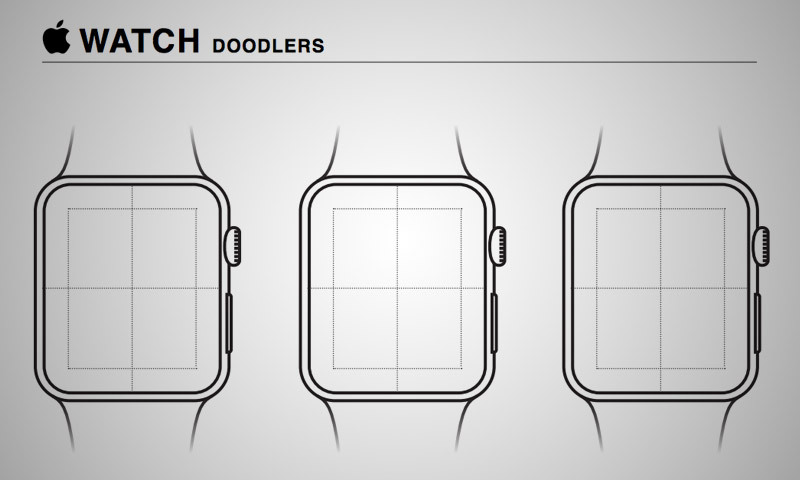 This is a set of templates for 42mm iWatch that can be opened in the software Sketch 3.2. You can use it to make your design work fast and easy for free. 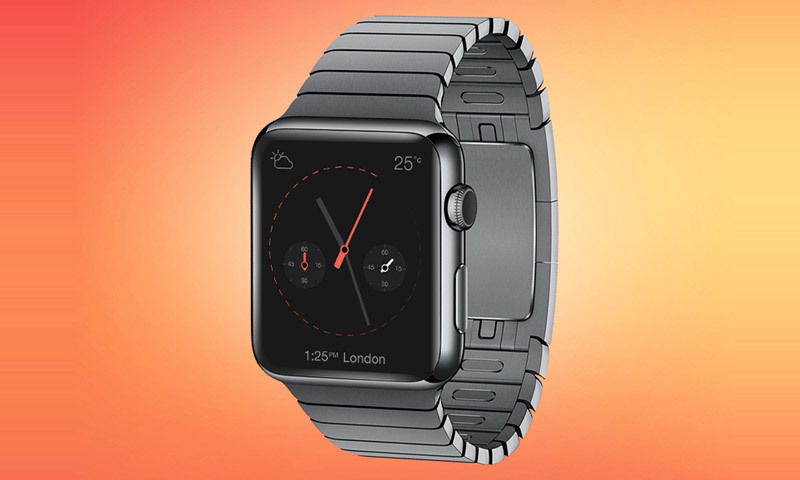 For this next freebie, you get a PSD template for Apple Watches in both front and angled view. Also, the file consists of 7 layers with variously designed straps that you can choose from. 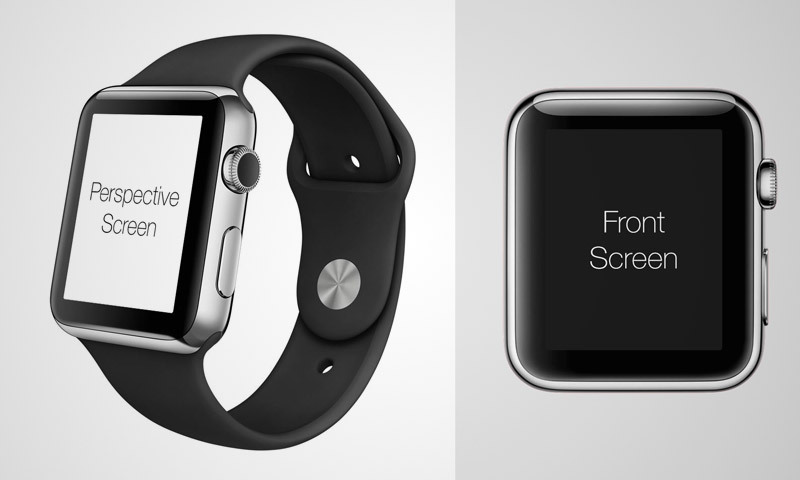 This PSD file includes a 312x390px template of a screen for 42mm Apple Watches. You can edit the screen by using the layers with smart objects. Double click on the thumbnail of the layer entitled ‘Screen: 312 x 390’, which will bring you to a new document. You can edit whatever you want in this document. To apply your changes, just save the document through ctrl+S or go to File> Save. 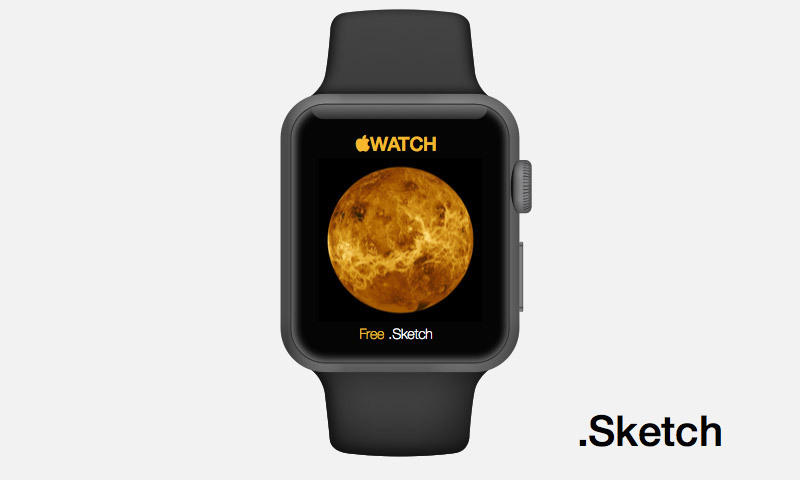 Here is another cool freebie template for all the Sketch users who are currently working or currently planning a design for Apple Watches. This will give a good amount of reduction of the time and effort designers will spend on this topic-specific design project. This next download is generously brought to us by designcode.io. It comes in SKETCH format and is in 100% vector. So you can resize all you want without worrying about the quality. It includes templates and elements that are done under the latest apple guidelines. 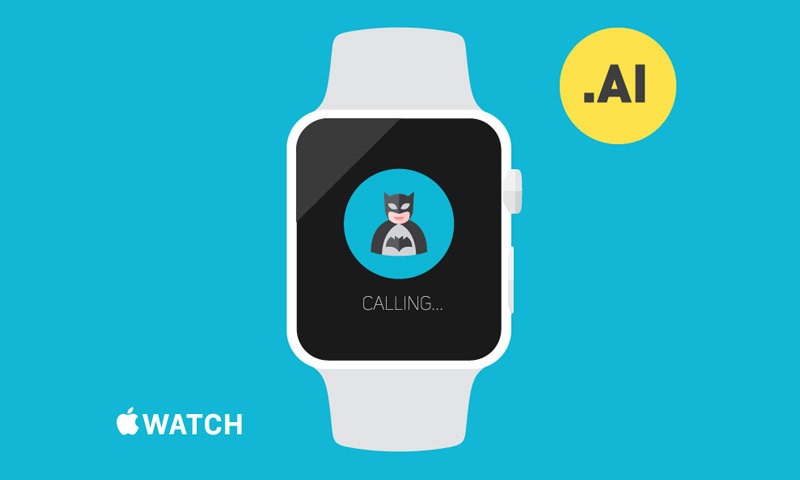 Try out how your app design on iWatch will look by using this Apple Watches template. It is in PSD format, so you can edit the screen with whatever you want. The file contains a layer in smart object entitled “YOUR ART HERE”. Double click on the thumbnail of that layer to open the document and edit away. Once you want to see the result, save that document and see the preview on the original document. 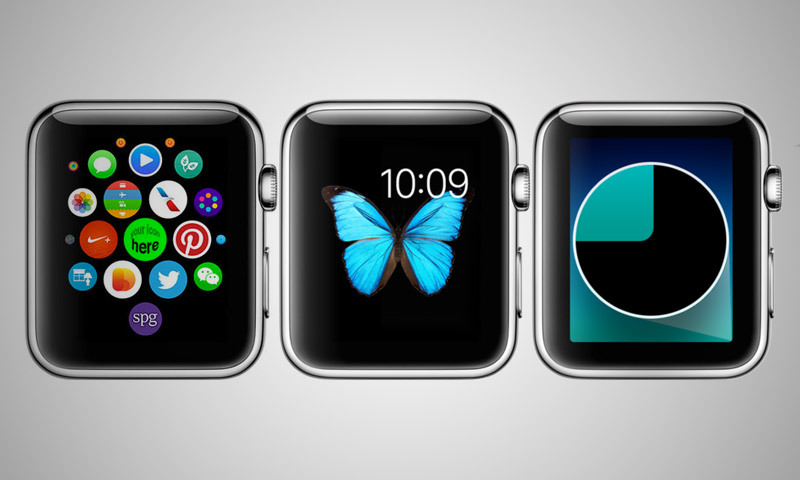 This pack will give you 5 screen templates for iWatch. This PSD file will let you use and customize this UI design for profile concepts with most of the layers in vectors shapes for easy resizing and editing. 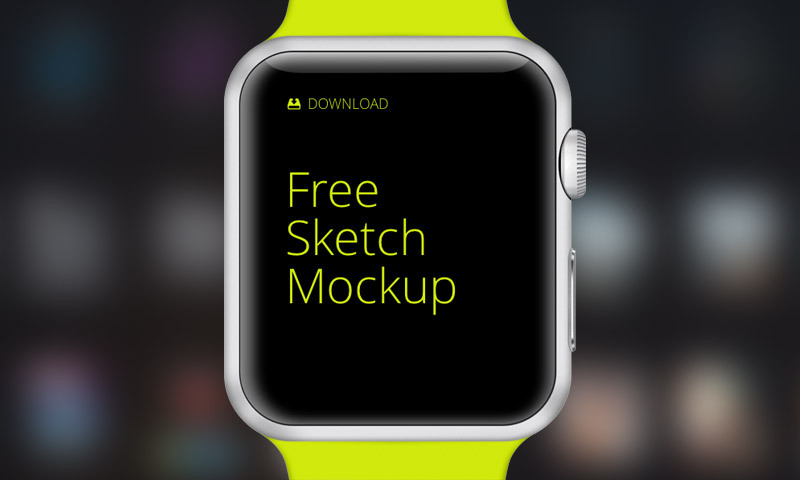 Another one in the list is this Apple Watches screen mockup that you can edit in SKETCH format. 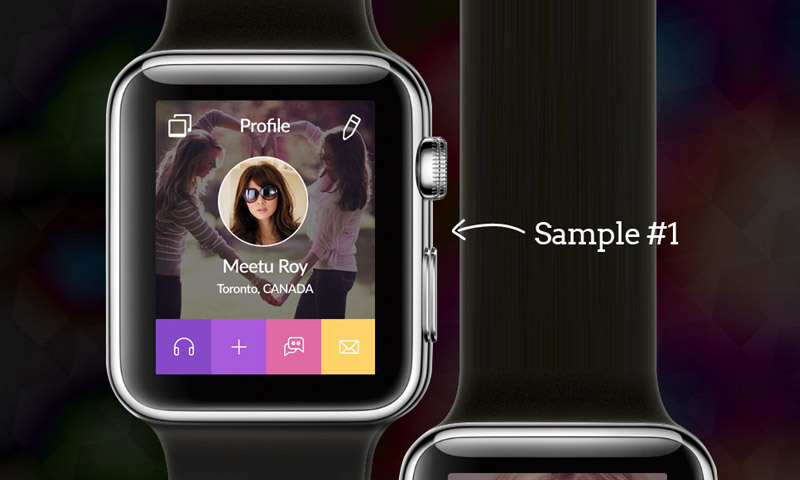 Another iWatch mockup for designers who use Sketch. This screen templates can be edited depending on your preferences. For designers who use Adobe Illustrator, here’s a flat design iWatch mockup that you can download in AI format where you can edit the template with your own app UI design. The unofficial app design of Yelp’s UI for Apple Watches is available for download in SKETCH format. 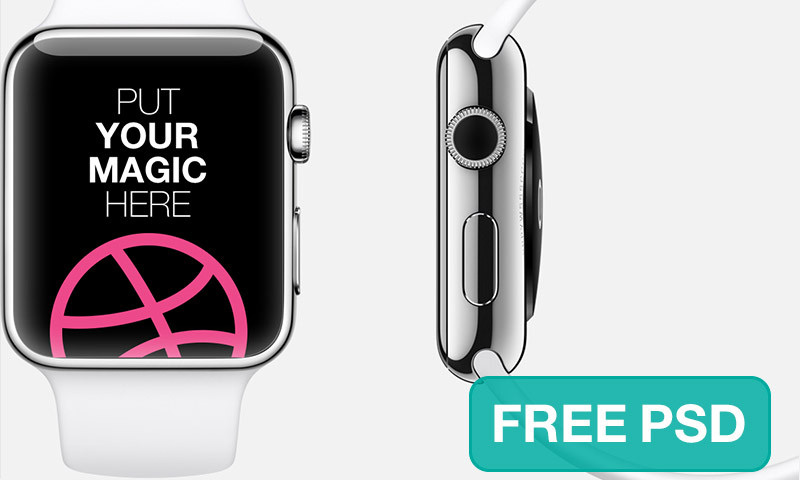 This next freebie contains another Apple Watch template that has an easy-to-edit screen in PSD format. To customize the screen, you’ll have to open the smart object by double clicking on the thumbnail of the layer labeled “Your Screen Here” under the screen group. This PSD format has the screen design in smart object where you can easily edit the individual elements as well as the whole screen. Also, this files gives you high-resolution image in 2412x2250px size. 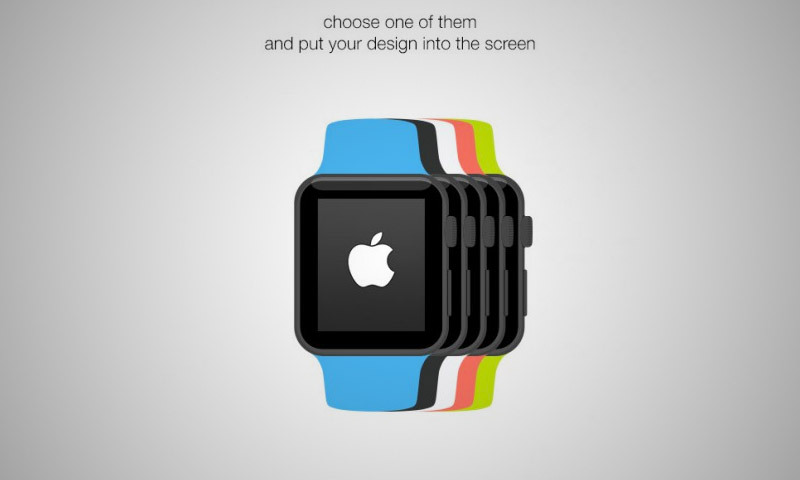 Here is a set of customizable screen design concepts for Apple Watches. The PSD file contains 7 different designs in 312x390px and varies from flat design to gradient overlays. 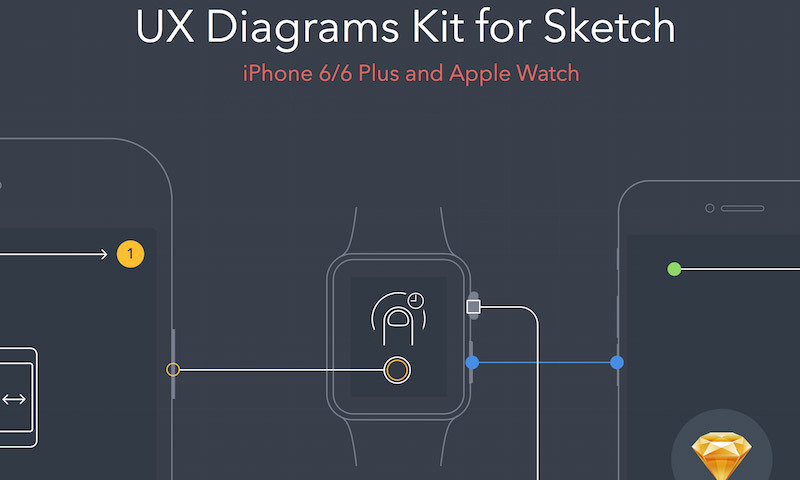 This is a kit in SKETCH format that will illustrate the wireframe flow for iPhone 6 and Apple Watch. 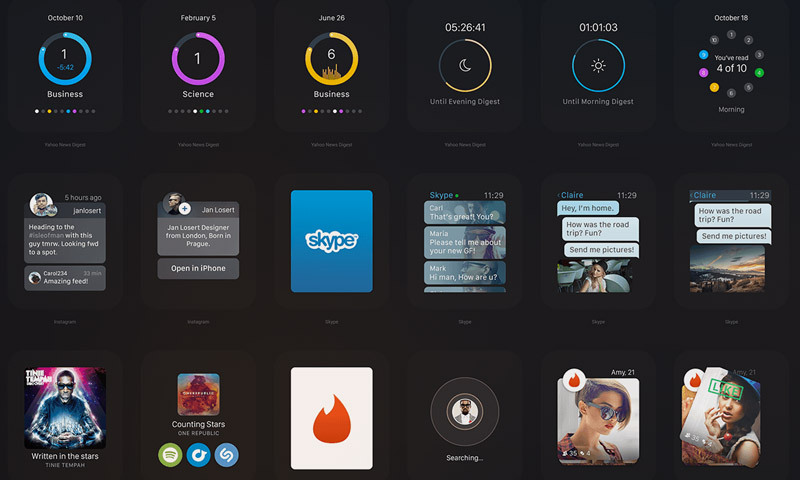 If you are still starting for a design concept for iWatch, then you can use this template as well. 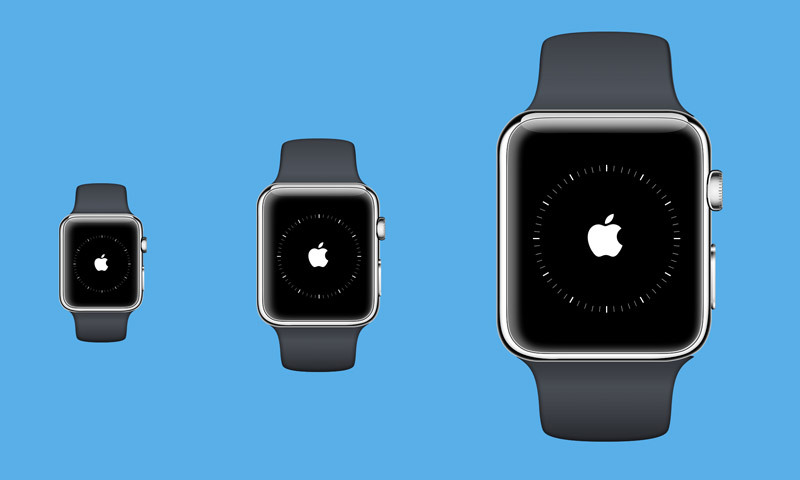 It is an outlined illustration of the iWatch and can be edited in Adobe Illustrator. 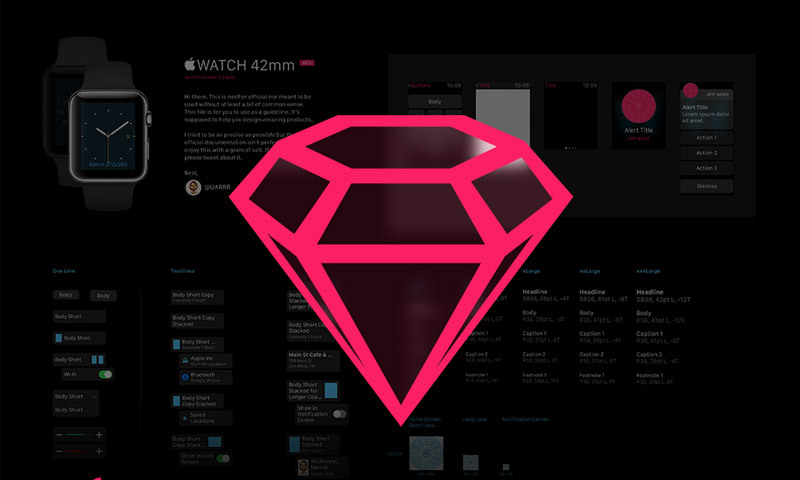 For the designers who are into using Sketch software and are planning to create a design for Apple Watches, here is another template that you can practice on. 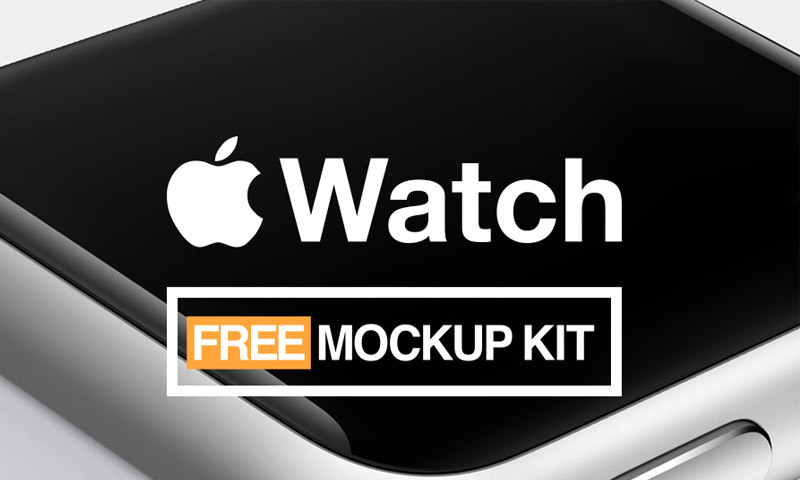 This next pack includes 9 screen mockups for Apple Watches. Each of these mockups is with its own PSD file and the elements are in ‘smart objects’ for easy editing. 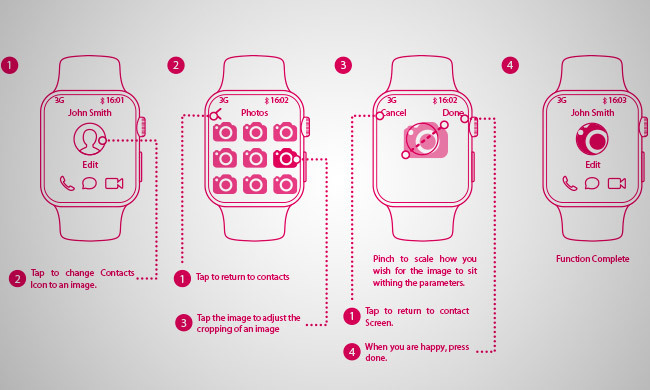 You can use and customize them to effectively present your own app designs or UI designs for this wearable. For the last feature of the list, we have an elegant mockup of a metal-strapped wearables in PSD format. You can edit the screen design by using the smart object. By double clicking on the thumbnail of the layer, you can create your design from scratch or paste your pre-made project. The Apple Watch may have been considered a financial failure, however, I believe that it has the potential to expand and become a major success in the world, as it present a simple and straightforward platform people to interact on, instead of the complex layers that a phone now has. Thus, these app ideas and advice for GUI’s and etc. are presented in a great way for people to learn from. Great Job!